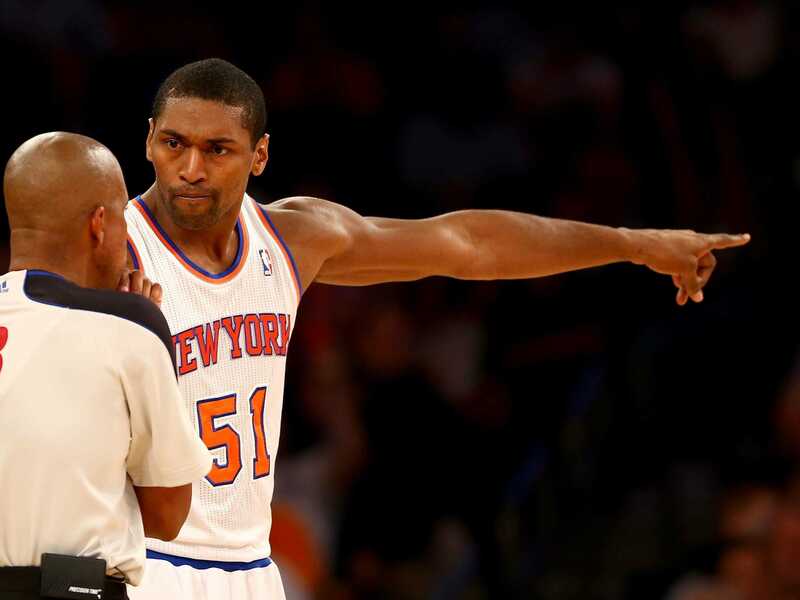 Metta World Peace just started his first season playing basketball in China for the Sichuan Blue Whales and if he has his way it will be his last. 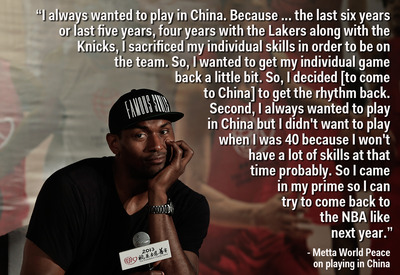 The artist formerly known as Ron Artest was a guest on “The Dan Patrick Show” when he was asked why he’s playing in China at the age of 34. 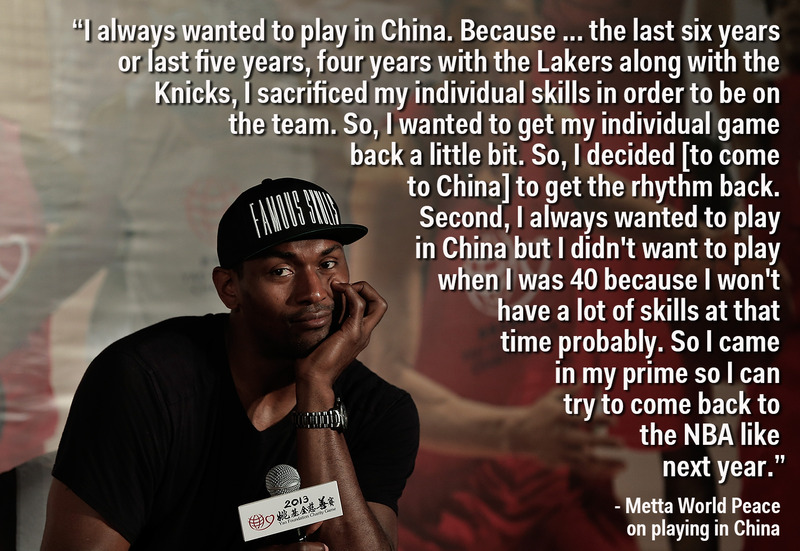 His answer is a bit convoluted, but basically it comes down to two things: 1) he always wanted to play in China; and 2) being a team player the last few years has ruined his game and he wants to fix that so he can come back to the NBA as an offensive threat. This is bizarre because it is hard to imagine a team signing World Peace next season, at the age of 35, to be a main scoring option. At that point, it will have been seven seasons since he scored more than 12.5 points per game during an NBA season. Peace says he did have offers to play in the NBA this season but that “people” were questioning whether he was healthy or if he could still play after injuring his knee with the Lakers and seeing limited playing time with the Knicks last season. He also added that he has spoken to teams about returning to the NBA as early as the end of this season to join a team for the playoffs. 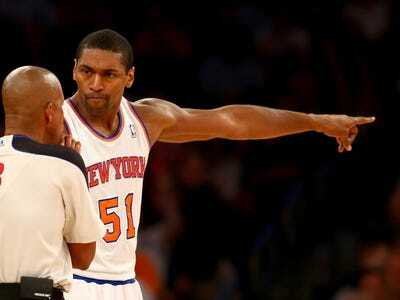 World Peace has played just two games so far in China and is leading his team with 21.5 points per game.